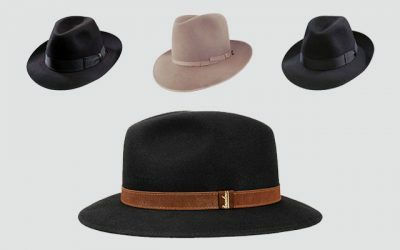 Are you looking for the headwear accessories that are on trend? Check out the bucket hats. Bucket hats are the to-go hat for your casual outfits and everyday wear. 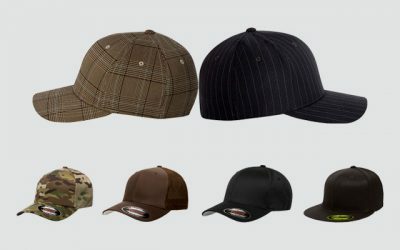 You can also choose this type of hat for your hiking trip or fishing trip. 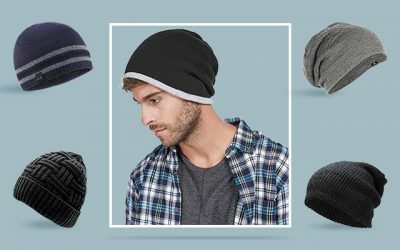 They are undoubtedly the most versatile casual hats that you can find on the market. Bucket hats on the market might share the same construction but their quality and their looks are entirely different. Follow this link to see all of the features that you need to look for in order to choose a suitable bucket hat. To make it quicker for you to choose a bucket hat from thousands of choices that you can have on the market, check out below for the list of the best bucket hats for men for your consideration. 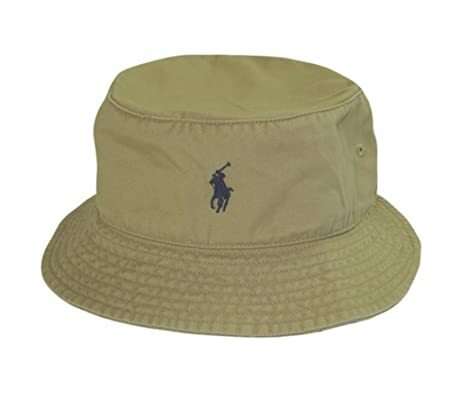 The first bucket hat on the list is a product from Ralph Lauren which you can easily see with the iconic logo embroidered on the front of the hat. It is made from 100 % of cotton with seamed brim and side ventilating stitched grommets. There are 3 options of colors for you to choose from including khaki, blue and white. As I mentioned above, bucket hats are versatile and this hat is more than that. It is reversible so that you can enjoy wearing this hat in both ways, changing the color if you want to. The material of this hat is 100 % of premium cotton which is soft, lightweight and also very breathable. It is also quite stretchy so that you can comfortably wear this hat for a long time. The brim of this hat is quite narrow. Also, it is nicely stitched so that while the brim is soft and floppy, it will not block your view in case of a high wind. And like most of the high quality bucket hats on the market, you can easily fold the hat and stuck it anywhere, making very convenient to bring the hat along with you. Last but not least, this bucket hat is machine washable so that you can easily wash it by hand or with the washing machine. A black bucket hat could be a great choice if you want an easy-to-wear hat for all of your styles and outfits. 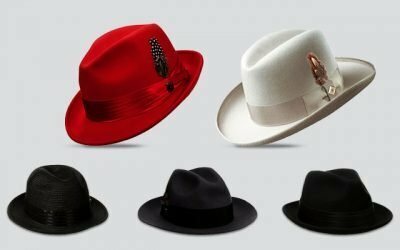 If you are looking for such an item, check out this hat. It is made from 100 % of washed cotton featuring the solid and plain black fabric. The brim of this bucket hat is 2.5 inches in width. It is made of the high quality cotton which is soft and comfortable for you to wear. It is also very breathable, making it suitable for you to wear in a hot summer day. You can easily roll up this bucket hat and stuck it into your bag. 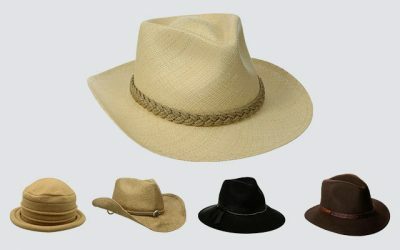 In addition, this hat is well made with an excellent craftsmanship for a very sturdy construction. All of the lines on this bucket hat are stitched carefully to add more durability to the hat. Thanks to the high quality material and the sturdy construction, this bucket hat can remain the perfect shape even after being used for a long time. Last but not least, you can crush the hat, pack it inside your bag and bring it anywhere with you. 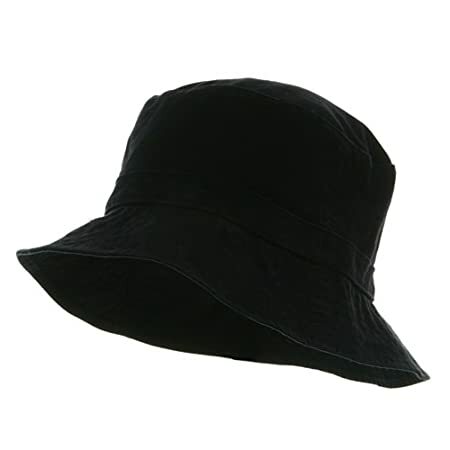 This bucket hat is a traditional looking bucket hat with the solid plain black color. 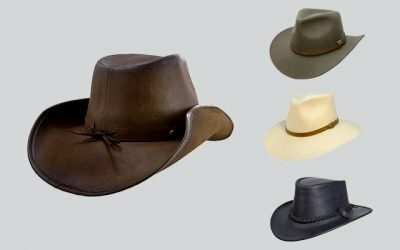 While the look of this hat might not be able to make you outstanding, it is a safe choice for you to pair with other pieces of your clothes as well as your styles. 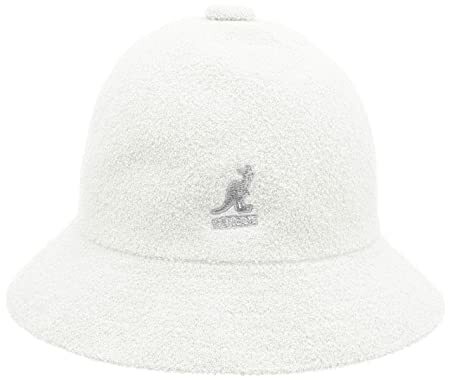 One of the most popular brands of bucket hats is Kangol. 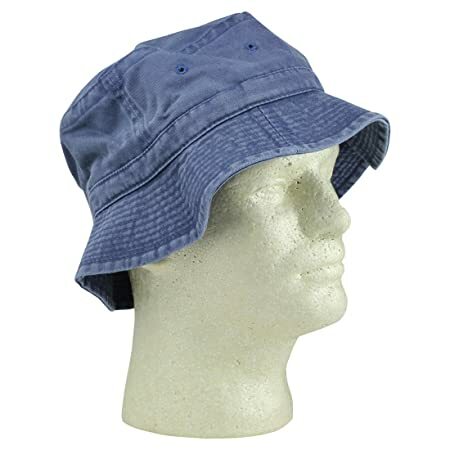 A kangol bucket hat is well known for the high quality material, unique style, as well as the excellent craftsmanship used to make each of the hats. With the Bermuda Casual bucket hat, you can expect to receive the same attributes. It is made of 85 % of acrylic and 15 % nylon. The headband of this bucket hat is made of 100 % of cotton. This hat features the iconic Kangol logo on the front of the hat along with a button on top of the crown. The casual shape in the proprietary textured Bermuda material is a timeless classic Kangol style. Besides the high quality material, this bucket hat is also well made with a firm and heavy duty construction which is also crushable for portability. There are more than 15 colors for you to choose from including red, white, yellow, and blue. These colors are all very bright and vibrant. Some of the colors such as Mandarin and Virdis are quite uncommon and you would never be able to find such colors from other bucket hats on the market. The colors are also very durable and will not be easily faded away. You can wear this hat to many places- including the beach as well as the dance floor. It has a much more modern look rather than the traditional bucket hat. So if you want the versatility and functionality of the bucket hat but with a much updated look, check out this high quality bucket hat from Kangol. This bucket hat is available in many solid colors and prints including olive, white, and various prints as well. There are 2 options of materials for you to choose from including faux leather and cotton. With various prints to choose from, you can easily find cool bucket hats with this option for your unique and vibrant street style. Overall, this bucket hat is well made with a 2 inches brim which is sturdy and not the flimsy floppy kind of brim. There are 2 options of materials for you to choose from. If you want a soft and lightweight bucket hat, check out the cotton option. On the other hand, if you want a hat which is water resistant, go for the faux leather option. Both of the materials are of top notch quality, which are durable and will stand well against the test of time. The faux leather bucket hat might be stiffer and cannot be folded. However, it will certainly fit well and stay secured on your head. Keep in mind that you shouldn’t wash this hat with the washing machine as it will certainly deteriorate the quality of the hat and wrinkles will appear on the hat easily. Luckily, this hat has a quick drying performance so that you can easily wash the hat by hand or spot clean it. The main problem with all of the hats above is that they don’t come with strap to help hold the hat in case of a high winds. If you often take part in outdoor activities and want a hat that you don’t have to hold when it is windy, take a look at a bucket hat with string like this bucket hat. This bucket hat comes with an adjustable string for you to easily adjust to make sure the hat can stay fit and secured on your head, regardless of the weather. This hat is made of 65 % of cotton and 35 % of polyester. Thanks to the high quality materials, this hat is lightweight and comfortable to wear. It also has a quick drying performance, allowing you wear it when it is slightly rainy outside. 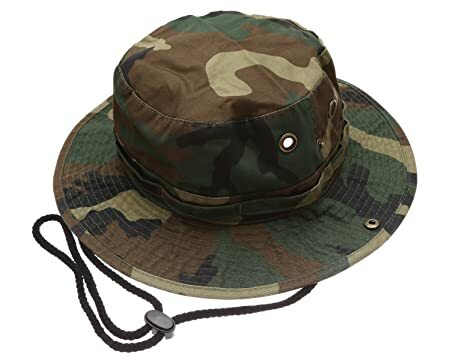 Another good thing that this bucket hat is that the crown of the hat is made with the brass eyelets on all sides of the crown, allowing air to move freely and making the hat more well-ventilated even in the hottest summer days. The brim of the hat is 3 inches, which is slightly wider than most of the other bucket hats on the list. With such a width, the brim of this hat could be able to protect part of your face from the harsh sun rays. Not to mention that the fabric of this bucket hat is rated 50 + for its ultra protection factor to make it more effective to protect your face from the harmful UVAs and UVBs in the sunlight. With all of the features of this bucket hat, you can enjoy wearing it when you take part in an outdoor activity – even when it is sunny, windy or rainy. If you like a bucket hat with a shorter crown which is fitted for your head, this one is for you. It is made of 100 % of cotton. There are 12 choices of colors and patterns for you to choose from. 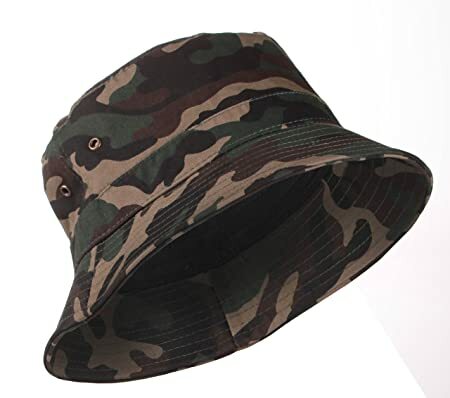 Also, in case you are looking for a camo bucket hat, you can consider this bucket hat. Thanks to the solid color styles, you can easily pair this bucket hat with your casual and everyday wear style. It is made of high quality and organic cotton which is soft and smooth on the touch. It is also very lightweight and comfortable to wear. 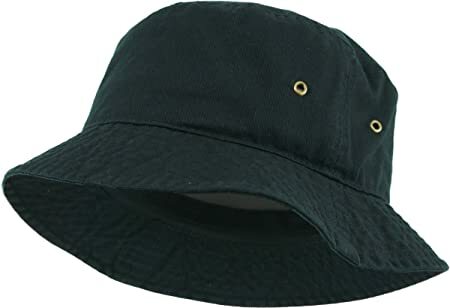 The headband of this bucket hat is made of cotton as well, which is capable of wicking moisture away to keep your head cool and dry all of the time, even in the hottest summer days. You can easily fold the hat and pack it in your bag, making it easier for you to bring the hat with you when you go travelling. And last but not least, this hat is well made with an excellent craftsmanship for the tough and durable stitching lines. The construction of this hat is so sturdy that it will stay the same shape regardless of how often you wear the hat. The brim is not floppy at all even in a high wind. This bucket hat is made of cotton and polyester. It features the style of the bonnie hat with a wider and flatter brim than other bucket hats on the list. There are 10 options of colors available for your consideration including army green, beige, black, and bright colors such as red and pink. With the blended material, this hat has both the benefits of the cotton and polyester material. First of all, it is lightweight and comfortable to wear as it is breathable. In addition, it is tough and resistant to the external factors of the environment. It also has a quick drying performance. 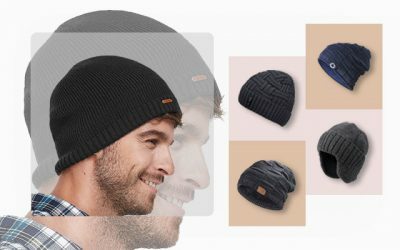 A significant feature of this hat is that it has a mesh part which assists the air ventilation process of the hat, keeping it cooler and more comfortable for you to wear. Besides the fact that this hat is suitable to wear in a hot summer day, this hat is also wind proof. 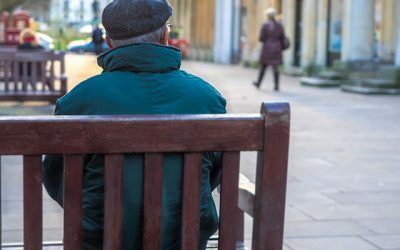 It comes with an adjustable drawstring which you can easily adjust to make sure the hat can stay secured on your head regardless of the wind. Overall, if you are looking for a bucket hat to wear when you have to spend a lot of time outdoors, for instance, when you go fishing or hiking, when you need to focus entirely on your activities, you can consider this hat. Are you looking for a camo bucket hat to wear when you go hunting? 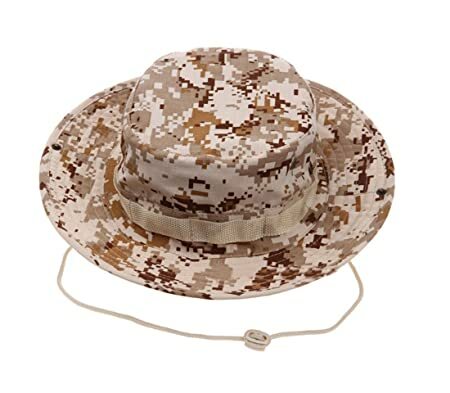 Well, this line of bucket hats offers a wide range of camo patterns for you to consider such as Terrace, Woodland Digital, and Desert Digital. This bucket hat is made of 100 % of washed cotton twill with a cotton chin cord. It also features a decorative bullet belt, side snaps, and 4 meshed brass eyelets. With the high quality and long lasting material as well as the wide brim and the chin cord, this bucket hat is an ideal bucket hat for all of your outdoor activities. 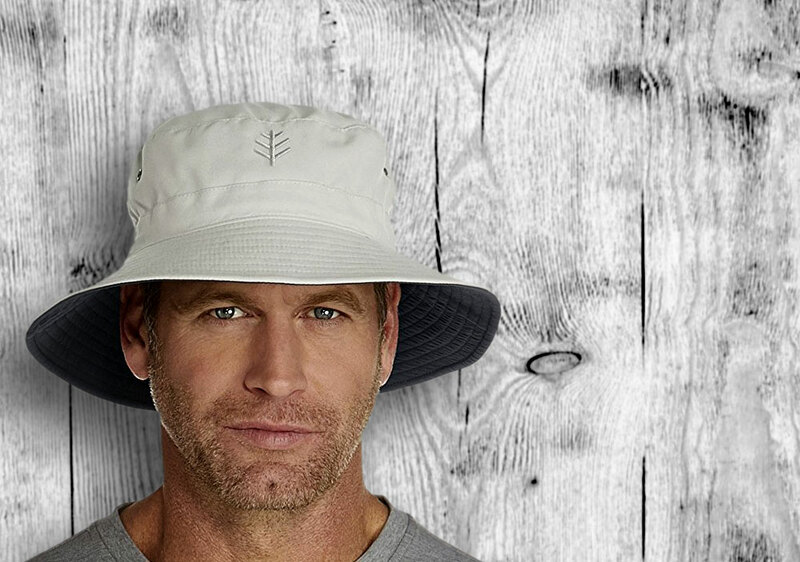 It is undoubtedly one of the most outstanding golf bucket hats on the market. For the ideal unisex white bucket hat, check out this high quality bucket hat from KBETHOS. This hat is made of 100 % of soft washed cotton material featuring 4 brass eyelets. There is a wide range of solid colors and patterns for you to consider including black, navy, red, and yellow. With 4 brass eyelets and the breathable cotton material, this hat is so well ventilated that it could keep your head cool and dry all of the time. Another great point of this hat is that the fabric of this hat is rated 50 + UPF for the ability to protect your skin from the harmful UVAs and UVBs elements of the harsh sun rays. The brim of the hat is also a little bit wider than the average with of the brim that you would find in other bucket hats on the market. Therefore, the hat is able to provide more coverage for your face, protecting your skin from the harsh sun rays. With a wide range of colors to choose from, you can easily find the bucket hat with the color that is the most suitable for your style. Also, these colors are quite bright, vibrant and durable which would remain the same shades even after a few washes. 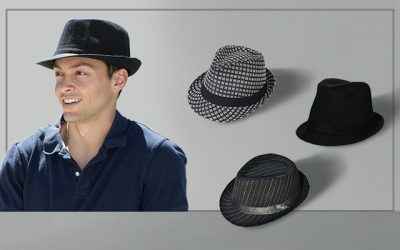 The main issue with this hat is that it is available in 1 size, making it more difficult for you to wear the hat if your head’s size is not the average size. 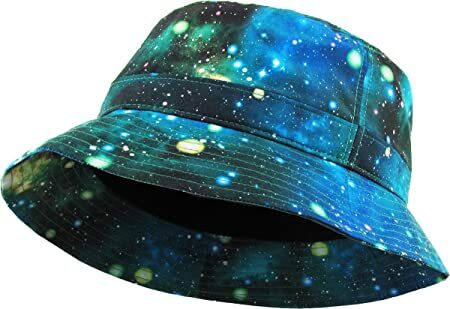 If you are looking for a cool polo bucket hat with such unique patterns that no other bucket hats on the list has, check out this bucket which features a wide range of galaxy inspired patterns. These patterns are one of a kind and you wouldn’t be able to find other bucket hats on the market with such patterns. The patterns are not bright and colorful but they are unique enough to make you outstanding in a crowd. With such an unique style, you can pair this bucket hat with other pieces of your street style to form a young and bold look. Made of breathable, 100% high quality polyester, it is the perfect companion for your active lifestyle. In addition, the polyester material is well known for the quick drying performance as well as the high resistance against water, allowing you to wear the hat when it is slightly rainy outside. This bucket hat also has a very firm and solid construction thanks to the great craftsmanship and the tough material. The brim of this hat stays the same shape even when it is windy outside. 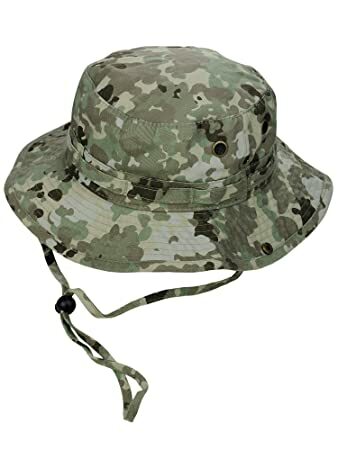 This bucket hat offers a few choices of solid colors as well as camo patterns. It is made of polyester and cotton with 4 copper screen vent holes. With so many choices of colors and patterns to choose from, you can wear this hat with your casual everyday style. Alternatively, you can wear it with your hunting and fishing outfit choosing the camo patterns as well. 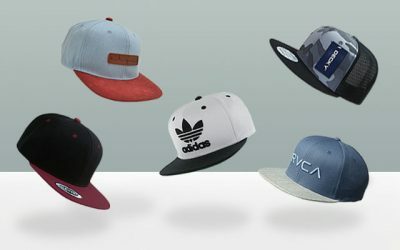 The first thing to mention about this hat is that it is made of the high quality materials, which are tough and durable. Also, with the 4 copper vent holes, your head will be cool and dry all of the time. This bucket hat also has an adjustable chin strap to help keep the hat stay secured on your head, even in case of a big wind. And it also has a wide brim to protect your face effectively from the harsh sun rays. If you intend to buy a bucket hat for your outdoor activities that you can wear in all kinds of weather, this is the hat that you should really consider. Last but not least, the material of this bucket hat is quite thick and durable. 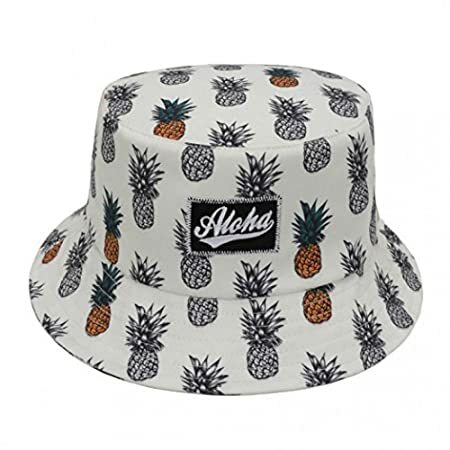 With the unique pineapple pattern, this bucket hat will make itself one of the most outstanding golf bucket hats on the field. 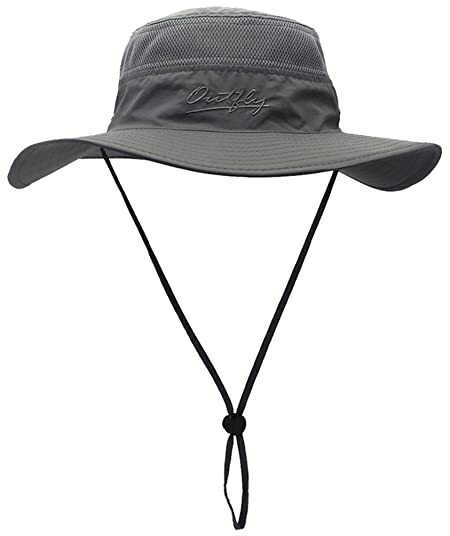 It is made of 100 % of polyester featuring the classic design of a bucket hat. 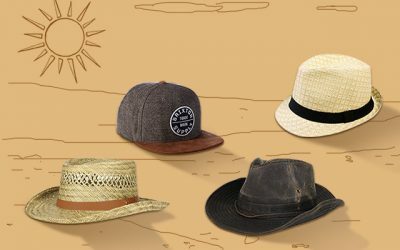 The fabric of this hat is capable of blocking the UV light and other harmful elements of the harsh sun rays. In addition, it is also very lightweight and comfortable to wear thanks to the high quality cotton made headband. I have to say, the hat is also quite stretchy for it to hug my head nicely and comfortably. In addition, like other top rated bucket hats on the market, you can easily see all of the firm stitching lines on the hat with no loose threads at all. The construction is therefore very firm and solid. While the white color of the hat might attract and show dirt easily, you can easily wash this bucket hat with both of the washing machine and by hand. 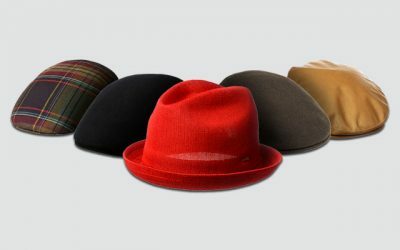 It has a quick drying performance so that you can easily dry the hat without deforming the shape of the hat. Here are the reviews of some of the most popular and top rated bucket hats that you can find on the market. As you can see, while they share the same design, they are different in styles, materials, and colors. Some of the bucket hats have higher crowns while some have wider brims, which you should all take into account in order to choose the best bucket hat for men that suits your styles and preferences the most. A bucket hat is definitely a must have summer hat this season. It is trendy, fashionable, and not to mention, functional, versatile, and easy to wear. So there is no reason not to buy for yourself a bucket hat for men now.